« To strive, to seek, to find, and not to yield. We have been walking around Hamburg for the last few weeks and started to notice small, square brass bricks in front of houses everywhere, embedded in the sidewalk. Upon closer inspection one realizes quickly that each one is inscribed with the name – and details about the death of – people who once lived in this exact location. 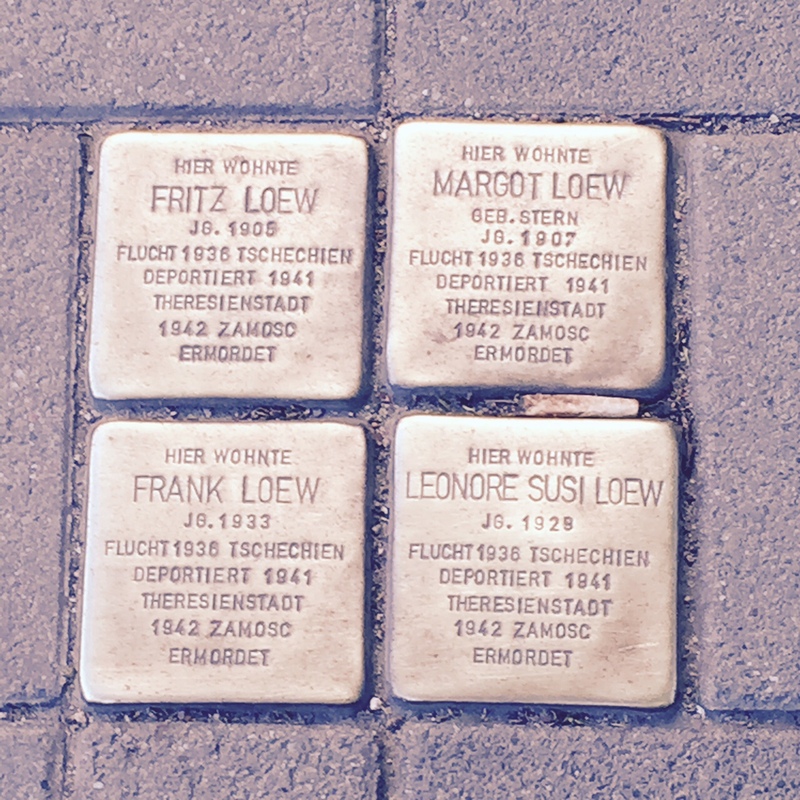 Above bricks apparently commemorate the family Loew, parents and two children, deported in 1941 and killed a year later in Theresienstadt. Guenther Demnig, a Berlin-born artist started his art project in the mid-90s in Berlin and it has mushroomed to more than 40,000 bricks all over Germany. My home country has long anguished over and debated how to best memorialize victims of the Nazi regime. There are museums and big memorials but it never seems enough to personalize the human tragedy that took place in Germany until 1945. 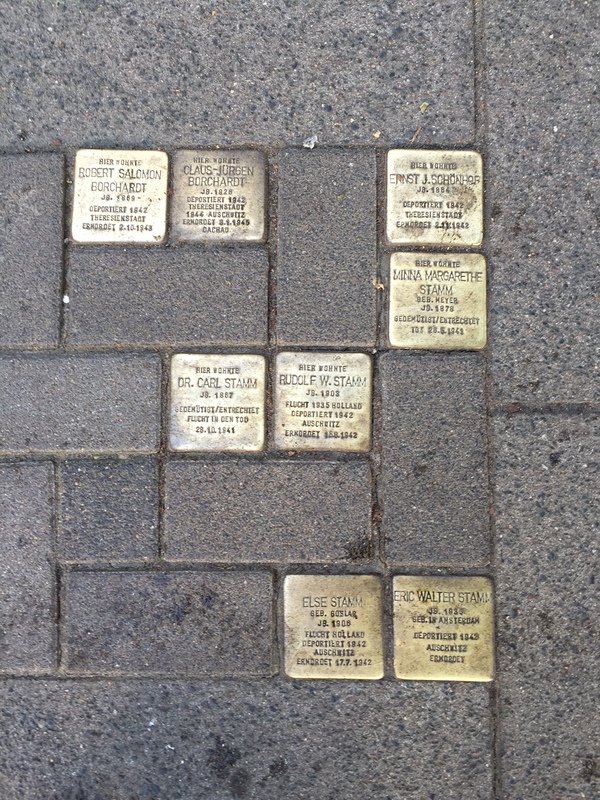 The stumbling stones (Stolpersteine in German) bring the human devastation to your neighborhood and daily life. As you can see above, a couple lived in this house until 1942 and was killed in Auschwitz 1943. It also reminds you that the myth of Germans not knowing about the evil of Hitler is nothing but a sad excuse. Can you really claim to be ignorant of the disappearance of 8 of your neighbors? Six million Jews were killed, plus minorities and political opposition. The stumbling stones make it clear that it was one plus one plus one plus one. It was an individual tragedy. One you can never escape in Germany. And as a German. 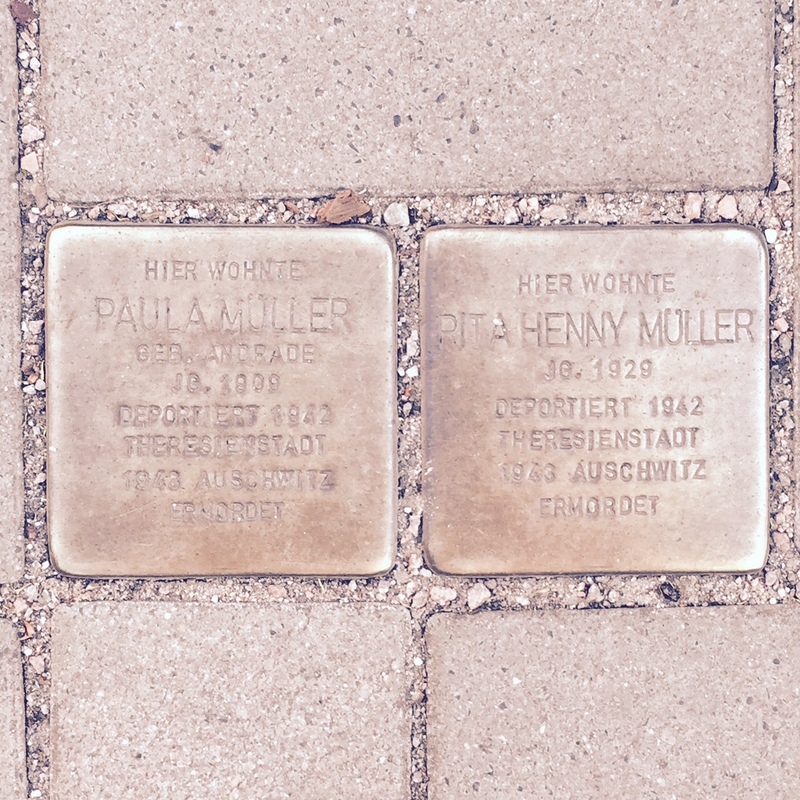 Find out more about Stolpersteine.